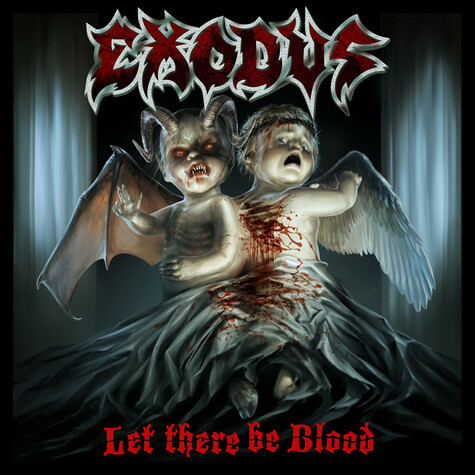 "Let There Be Blood", the controversial re-recording of EXODUS' classic 1985 debut album "Bonded by Blood", sold 2,000 copies in the United States in its first week of release, according to Nielsen SoundScan. Released on October 28 through Zaentz Records, "Let There Be Blood" was recorded at Sharkbite Studios in Oakland, California; JKZ Production Studio in San Rafael, California; with vocal tracks recorded at J. Rod Production Studios in New City, New York. Andy Sneap mixed the CD at his Backstage studio in Derbyshire, England. EXODUS' last collection of new material, "The Atrocity Exhibition: Exhibit A", has sold 22,000 copies in the United States since its October 2007 release, according to Nielsen SoundScan. The CD was recorded at Sharkbite Studios in Oakland, California with producer Andy Sneap (MEGADETH, MACHINE HEAD, NEVERMORE, ARCH ENEMY).